AIRBNB has hired a management consultant to assess its potential entrance into the long-term rental marketplace, according to sources familiar with the matter. Sharing economy giant AIRBNB has set its sights on the long-term rental market and enlisted the help of consulting firm McKinsey & Co to research the possibility. The platform already has a ‘sublets’ tab on their website which offers longer term stays in more than 5,000 cities around the world, including Sydney and Melbourne. REINSW president John Cunningham said companies like Airbnb have failed in the past. “The reality is that this space already does exist. There’s always been the threat of a disrupter to come along. There’s always been the opportunity to do things quicker and easier. The big question mark is, do they do it better?” Mr Cunningham told news.com.au. AIRBNB has faced controversy in several countries, including Australia. 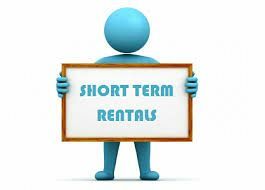 In New York, short-term lets are banned. Australia also recently saw a rise in companies offering to ‘manage’ property listings on AIRBNB and other home share platforms. “Australia has fairly strict controls. It’s a legal document when people are signing a lease and AIRBNB likes to stay well and clear of that area. Once a residential agreement goes beyond the three-month mark, they’re getting involved in a completely different regulatory environment,” Mr Cunningham said.